Today, more than ever, shippers of all kinds are being compelled to take a more strategic approach to their transportation and logistics. In this informative and wide-ranging podcast, hosted by Matt Stekier, Sr. 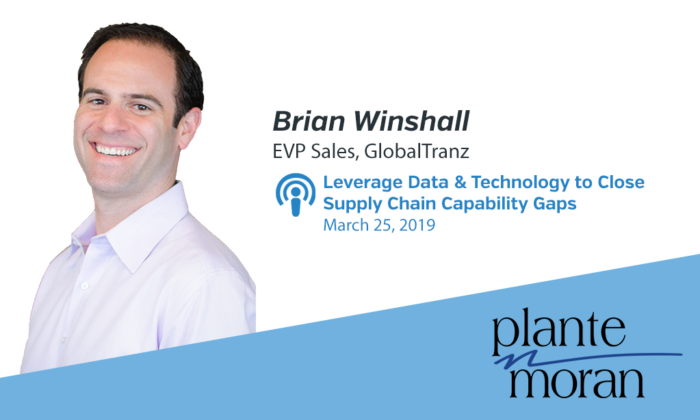 Manager, Supply Chain & Operations Improvement at Plante Moran, Brian Winshall, Executive Vice President at GlobalTranz, discusses how food and beverage producers can partner with a Managed Transportation Services provider to leverage transformative technology and capture data to drive profitable growth.